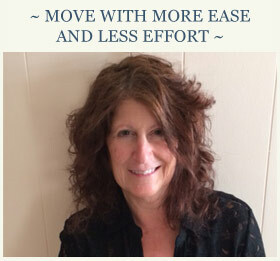 I am a KRI certified level one Kundalini® yoga teacher, ABMP Certified practitioner, New Hampshire Licensed Structural Integration Practitioner and Ayuryoga® Instructor. I offer a sincere and modest approach to helping people live a healthier lifestyle. I never had a clear vision of what I wanted to do with my life, but knew it had to involve something creative and “out of the box.” The fellowship I was a member of at that time included my first spiritual and healing mentor who showed me a way to offer healing hands to people through simple touch and breath work. In those days you could practice massage without a license in Arizona, but I knew I wanted formal credentials. I wanted to learn and understand. I wanted to help people. A leap of faith took me to Desert Institute of the Healing Arts in Tucson Arizona. It was a professional 1000-hour program. After successfully completing the program in 1996, family needs led me back to my native New England. That year I became nationally certified (NCTMB), developed my own private practice, and had my first exposure to living in cultures outside of the USA. I continued to enroll in classes that helped expand my own personal field and technique. I was fascinated by holistic and esoteric practices from around the world. In 1999 I decided it was time to move on. I meet people easily and have always had a gypsy spirit, so I decided a road trip was in order. With my Ford Ranger loaded up, I began another adventure that took me cross country and back to Sedona. Along the way, I learned that one of my teachers had just returned from Thailand after experiencing an immersion in the ancient bodywork practice of Nuad Boran (Traditional Thai Massage). Once in Sedona, I called Jerry Weinart in Tucson and made an appointment. It was the most amazing session I had experienced in my life. When I asked him to teach me, he told me, “You need to go to Thailand yourself. Classes start every Monday. You just have to show up. You will be good at it and it will change your life.” He gave me the name of the school, the place to stay and an assurance I would be totally fine there by myself. His words could not have been more true. 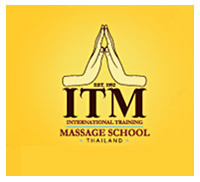 Within a month I was in Chiang Mai, attending class at International Training Massage (ITM). In the two months living within a Buddhist community, I came to understand how closely connected bodywork skill is to a sense of spiritual centeredness and meditative composure. I knew for the first time I had found a path I was interested in following. In 2000 I returned for my second trip to Chiang Mai and added a month long Vipassana Retreat. It was a revelation to sit in meditation for a month in silence. This inspired me to travel to India in 2001, to trace firsthand the ancient connections of Ayurveda and yoga to this practice. By this time I was living and practicing bodywork in New London, NH and taking annual trips to India. These trips recharged my personal battery as well as helped me learn from gifted doctors and healers from different traditions. To this day I still cultivate and cherish these men and women as friends and colleagues. 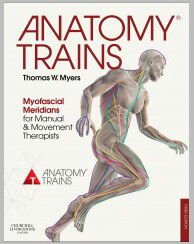 In 2002 I noticed an ad for ‘Anatomy Trains’ taught by Tom Myers. His approach to Structural Integration, using the concept of myofascial meridians, was similar to that of Thai Massage which describe the Sen Lines as invisible pathways of energy. When inhibited, vitality and health are diminished. What started as taking a weekend workshop in Anatomy Trains evolved to a 500-hour SI Certification with Kinesis Myofascial Integration. During that training I heard about The Heart of Listening, a wonderful book written by Hugh Milne, a third generation Scottish osteopath. It offered a visionary approach to craniosacral bodywork. Milne had worked with Myers in London years before. It all seemed to be fitting together. After reading the first few chapters, I was hooked and knew I had to meet this guy! My training with Milne began in California in 2004. I graduated in 2007 and continued to assist Milne in workshops home and abroad. I also started working with Kevin Frank and Caryn Mchose at their studio, Resources in Movement, in Holderness, NH. Embodying healthy and intelligent movement patterns in the body seemed a very natural next step for me. I began to see how all the methodologies I had personally been drawn to were so closely and integrally related. I was introduced to Kundalini Yoga (as taught by Yogi Bhajan, PhD) while in Tucson and the interest resurfaced in 2012. That year, I finished a 200-hour teacher training through Kundalini Research Institute (KRI ®) that deepened my own personal practice. The interface of yoga, therapeutic touch and science was becoming increasingly interesting to me. Ayurveda ,“The Science of Life,” had come to my awareness when I first started practicing Thai Massage and kept reappearing at every turn. In 2014, I completed a 200-hour immersion in the Ayuryoga ® program at Ayurvedic Institute in NM building on ayurvedic principles of lifestyle and integrated health. I feel so grateful to have trusted my instincts to leave home and travel, and that I met so many inspiring teachers along the way. It has been enormously enriching and has allowed me to work with many different kinds of people, finding the ways that help.